Category Archive for "Events" | EveryMind | Your Mental Wellness. Our Mission. Posted on December 18, 2018 at 9:53 am. 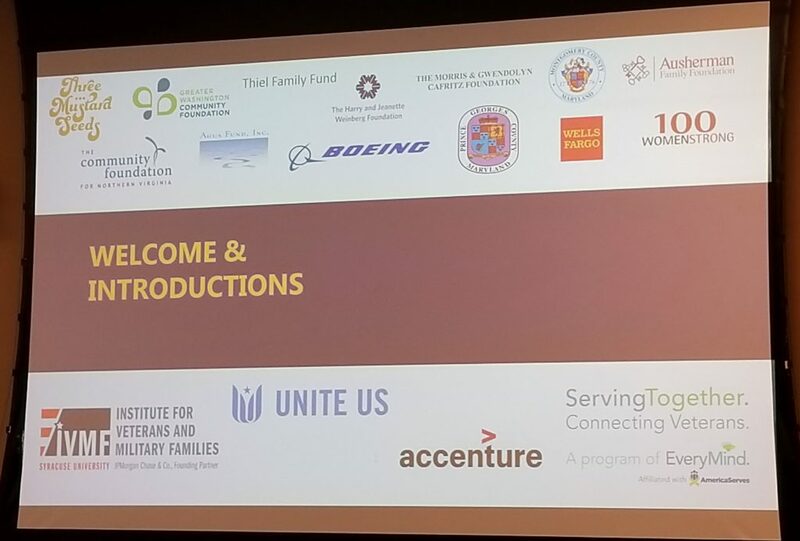 On December 12th, nearly one year after launching its coordinated network of care in partnership with the Institute for Veterans and Military Families (IVMF) and Unite US, ServingTogether hosted its first In Progress Review to share data collected to date that demonstrates the network’s impact on providing services to veterans, service members and their families. Representatives from many of the 79 network providers offered their insights about what is going well and where improvements might further strengthen the network’s ability to provide clients with needed resources. Since December 2017, ServingTogether has worked with 348 clients to meet 832 requests for support. Data demonstrate that the top challenges our clients encounter are employment, housing and income support. Of the 348 served through the network, 27% requested help with employment, 25% sought housing assistance and 18% connected with the network in search of income support. Other areas in which we offered support include benefits navigation, health and wellness, legal issues, individual and family support and food resources. Over the course of the year, 59% of 700 service requests closed were satisfactorily resolved by the network. The average time to connect a client to a provider was 4.81 days and the average time to close a request was just over 17 days. Since many of the service requests related to complex, difficult-to-resolve issues such as employment and housing, additional service providers in the network are essential to help reduce the time between the initial service request and its successful resolution. ServingTogether will host an In Progress Review every six months for the next two years to give network providers the opportunity to review the data and offer their feedback on how to continue to improve and grow the network. If you are interested in becoming a member of the provider network, please contact Michael Ball, Director of ServingTogether, at mball@every-mind.org. If you would like to watch a video of the event or access the PowerPoint slides, please visit https://register.gotowebinar.com/register/5726651827289859.